Hello everyone and welcome back to my blog. Much has happened over the past week or so. I have been doing a lot of research about different things dealing with my blog. Learning about how to make my blog better, realizing the short comings that I have had, especially as of late. I have been working behind the scenes on different things to help stream line my blog. Some things, no one will see a change in, others will be evident. 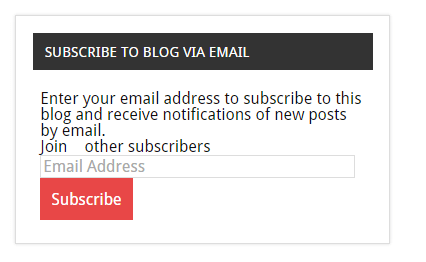 One of the things that I just recently realized, was that I didn’t have a place to subscribe to my blog via email. At one point in time, I did, I don’t know what happened to it; that has been added back. I went through a bunch of comments that we caught by the spam filter and have been looking into some of the issues that were brought to light with them. Some of you may have noticed a lapse in my posts, unfortunately my computer decided to quit on me about a week and a half ago. I had several posts almost ready to be posted as soon as I got my computer up for the day, but when I plugged my laptop in, the computer wouldn’t power up because it was no getting power. I tried moving the cable around, got a few flashes on the power light but nothing that would stay long enough to power up the computer to get the posts off of it. So until I get a new power cord or get my laptop fixed, it looks like I am going to be on my tablet for the most part. So I am going to have to rewrite my posts and learn my lesson of not uploading my post when they were done. So please bare with me as I make my changes and get my posts rewritten. I have decided on a slightly different posting schedule starting this week. I will still post my technician class series on Sunday, but rather than having two other posts on Wednesday and Friday, I am going to do a post on Tuesday and Saturday and take a idea from Facebook that I’m sure each of you have seen at one point in time or another and do a Throw Back Thursday post highlighting an older post of my blog since I have had so many new people find me in the past couple month. I haven’t decided if I am going to do my normal Group Â shares on the Throw Back Thursday posts. If you would like to make sure that you get notifications of new posts, there are three ways that you can do it. First, and probably the most reliable, is to subscribe via email to my blog which you can do on the side bar. When I post a new post, then you will get an email letting you know. 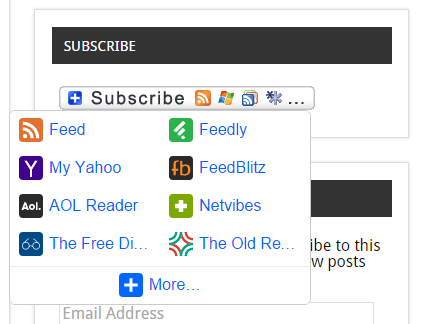 The second option that you have is to subscribe via an RSS reader like Feedly, My Yahoo or just a standard RSS reader on your phone. The third option that you have is to like my Facebook page. To make sure that you get the notification of a new post on Facebook, you will need to check the “Get Notifications” under the Liked button and select “See Fist” under the Following button. I hope that yall like the upcoming changes that I have planned as much as I think I am going to. Thanks for each of yall continuing support in this blog. One of the comments that I discovered in my spam filter last week asked if I would put a donate button somewhere, so I have added one on my About Me page if you would like to make a donation.